Like all of our products and services, we hope that you find our Web site to be a valuable resource in your pursuit of increased productivity and success. Our goal with every project and assignment is simple: Harness the best of our vast corporate experience to deliver programs and services that exceed expectations. We achieve this goal by investing the necessary time and resources to truly understand each client's unique challenges and opportunities. At WorkChoice Solutions, we go the distance to bridge today's obstacles with tomorrow's success. Well known leadership consultant and motivational speaker, David A. O'Brien, is pleased to share his formula for leadership excellence in his popular book, The Navigator's Handbook, 101 Leadership Lessons for Work & Life. To watch the trailer or hear the preface of the book, please click here. 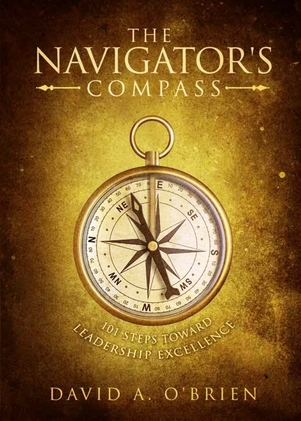 David O’Brien is pleased to announce the official release of his new book, The Navigator’s Compass, 101 Steps Toward Leadership Excellence. Based on a collection of his most popular leadership articles of the last 4 years, the book provides an actionable framework for helping leaders to expand their influence and impact. To order please click here. IN THE NEWS: The Lessons In Leading Change MBA text book which features David O’Brien’s case study, Leading Change From The Top Down has received high praise from an impressive roster of Academics and business Executives. Recognized as a “must read” for every student of leadership, the book covers the essential skills of being a high impact leader. To read more about what’s being said about the book, please click here.